2014: the largest volume of transactions was in the industrial sector. 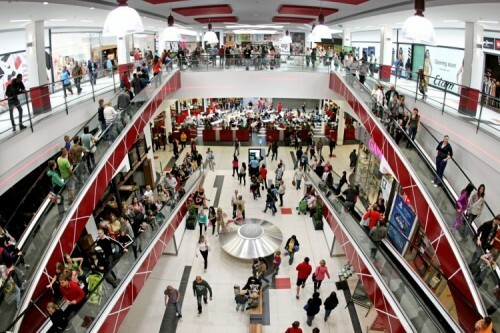 2015: the largest volume of transactions is expected in the retail sector. Average deal size increased from EUR 35.5 mln. in 2013 to EUR 42.4 mln. in 2014. Total investment volume in 2014 amounted to EUR 1.992 mln., up by 52% y-o-y. The largest volume of transactions in CEE was in the office sector (the y-o-y increase amounted to 61%). CBRE, the world leader in commercial real estate, predicts a new wave of investment in the real estate market. Large scale investment predicted in the retail sector where the finalization of three ongoing transactions worth EUR 800 million is expected. In 2014, six transactions worth EUR 314 million were concluded in the retail sector. In addition to Prague, demand is expected to spread to the regions as well. Despite the tough start, 2014 was one of the most successful years in terms of investment volumes. Higher activity in commercial real estate investment in 2014 was the consequence of several favourable market conditions, such as low interest rates, surplus of capital and motivated sellers. The market recovery is noticeable. In 2012, 21 transactions were concluded on the Czech market; in 2013 the figure was 37 and in 2014 47 transactions were finalized with the average price of transaction increasing from EUR 35.5 million in 2013 to EUR 42.4 million in 2014. Foreign capital accounted for 83% of overall purchases in 2014, the remainder being domestic buyers. American capital was the most prevalent in Czech commercial real estate, accounting for 37%.Commercial real estate investment in Central & Eastern Europe (excluding Russia) rose 28% year-on-year and reached just over EUR 7.7 billion in 2014. There was a marked increase in investment activity in Czech Republic, Hungary, Romania and Slovakia with percentage growth figures of 52%, 71%, 220% and 72% respectively. The total of these four countries, €4.1billion, equates to over a half (53%) of total CEE volumes in 2014, compared to 37% in 2013. Although most transactions across all sectors (industrial, retail and office space) in 2014 were in Prague, interest in the regions is growing. For example, in Hradec Králové, shopping centre Futurum was purchased by Meyer Bergman for EUR 87.6 million from Heitman, GE Capital and TK Development (CBRE represented the sellers). In the same period, a transaction worth EUR 83 million was finalized in Pardubice where Atrium European Real Estate bought the AFI Palace Pardubice shopping centre from AFI Europe.